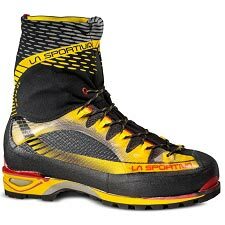 The G1 LITE offers warmth and climbing performance in addition to plenty of versatility and the choice of the type and weight of gaiter you use. 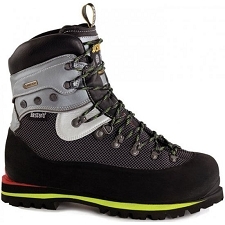 Keep it simple for day outings and technical routes and boost warmth in extremely cold weather with an insulated supergaiter. 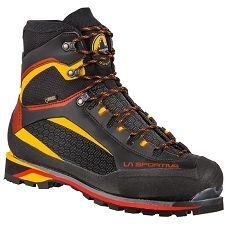 Lighter weight is achieved by utilization of water proof Termida upper with Lorica and ceramic reinforced stretch Cordura. 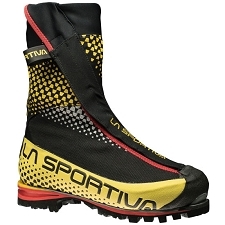 Total weather protection is provided by Sympatex - a textile fully waterproof yet breathable across it's entire surface which leads to dryer socks and warmer feet. 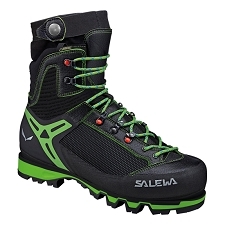 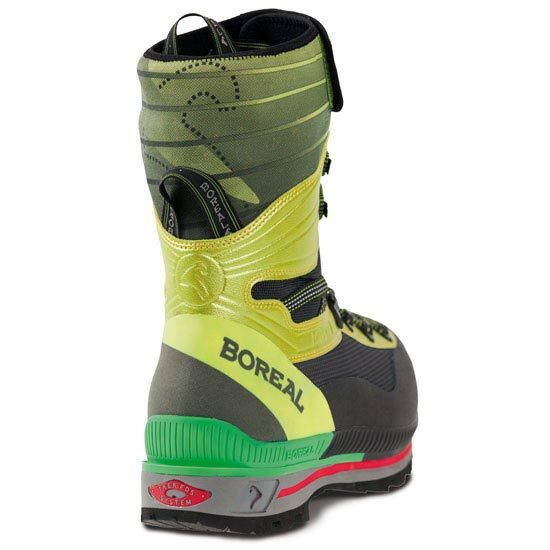 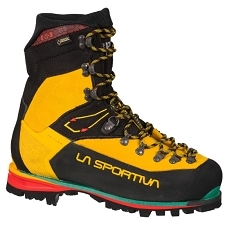 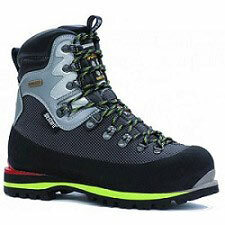 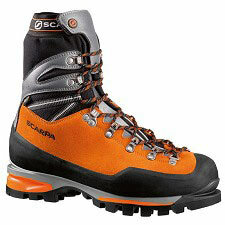 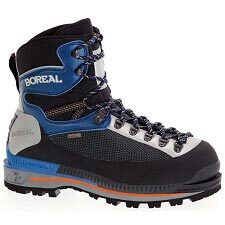 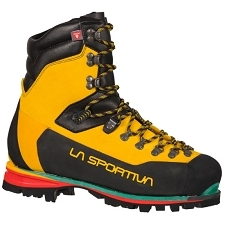 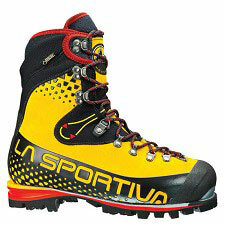 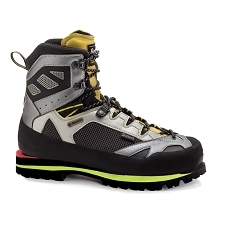 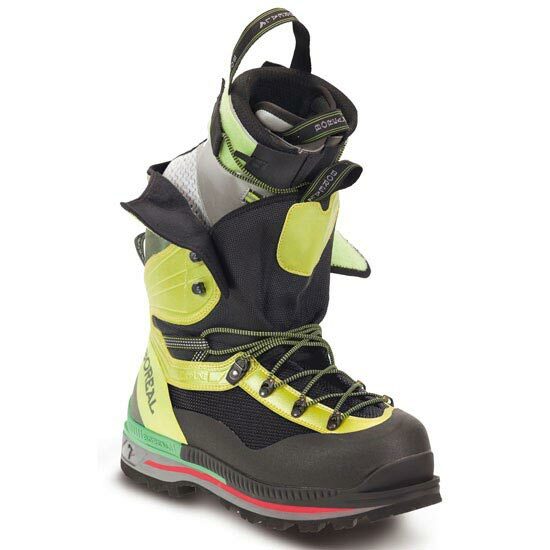 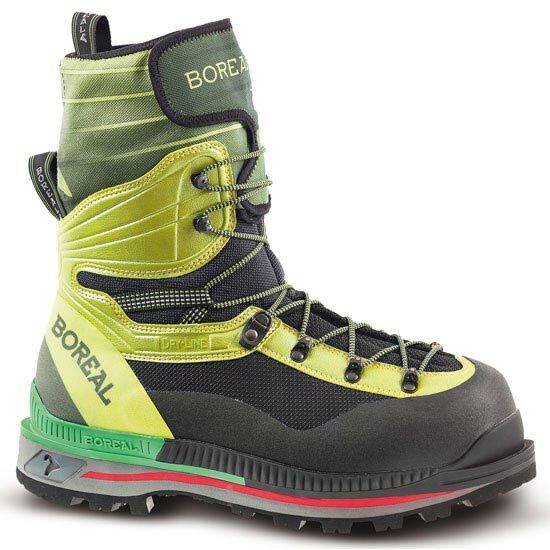 The Inner boot is a mixture of EVA foam insulation with Triple Thinsulate in the middle and durable inner. 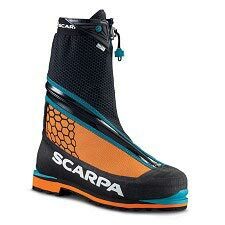 Underfoot, 1.4 mm of Neoprene (perforated for breathability and shock absorption) plus 10 mm of EVA foam insulation back the extra-rigid technical performance midsole. 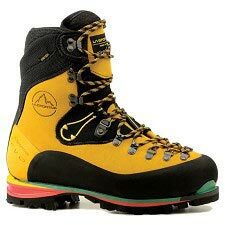 Vibram Teton outsole connects you to the earth or any crampon with triple density co-molded rubber for the right combination of traction, shock absorption and durability. 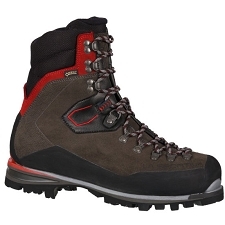 The inner boot is slip lasted (just like rock shoes) with waterproof split leather on collar and tongue, a padded Achilles with adjustable velcro-elastic strap (for heel retention) plus a unique raised heel that keys into a corresponding cavity in the floor of the outer boot. 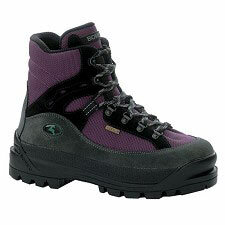 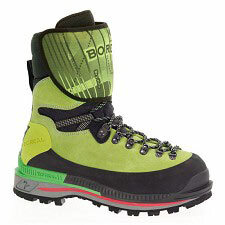 Outer boot materials include a durable Abrasion resistant Cordura with laminated DryLine membrane.